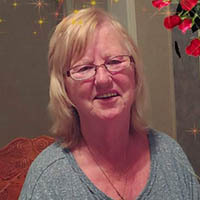 Elizabeth Jean Mock Brunk, 69, passed away at her home in Pulaski on Friday, March 29, 2019. She was preceded in death by her parents, Cleveland Mock and Mary Deavers Mock. Survivors include her husband of 52 years, Danny R. Brunk, Sr.; sons and daughters-in-law, Danny Brunk Jr., Steve and Valorie Brunk, and Randy and Rebecca Brunk, all of Pulaski; daughter and son-in-law, Sharon and Donnie Coleman of Pulaski; daughter-in-law, Virginia Brunk; brother, Robert Mock of Fairfax; 13 grandchildren and 19 great-grandchildren.